ST. GEORGE — Road work on state Route 9 is scheduled to begin Monday as crews prepare to resurface the roadway and expand some shoulders. The work, which is scheduled to take four months, has been scheduled so as to take advantage of the lowest visitation season for Zion National Park. The Utah Department of Transportation says all work will occur during the day, and one lane will be maintained for traffic at all times, to be controlled with a flagger or pilot car. Rock excavation will occur in advance of shoulder widening. Increased noise is to be expected during this phase of the project. This will start near the Majestic View Lodge and then move towards Virgin. Utility location and culvert installation will require lane closures as well. The project has been divided into two sections, Rockville and Springdale. The Rockville part of the project will include shoulder widening between Rockville and Springdale, along with road resurfacing in Rockville. Resurfacing is adding a new top layer of asphalt to the existing roadway. This phase of the project should be completed by April. The Springdale part of the project includes roadway reconstruction where the roadway will be excavated down to native ground and rebuilt. Drainage systems, pedestrian facilities and irrigation ditches will be evaluated and improvements made as needed. Citizens who wish to learn more about the projects including changes to on-street parking, sidewalk widths and delivery and loading zones can meet with the team members Jan. 19 from 5 p.m. to 7 p.m. at the Canyon Community Center, 126 Lion Boulevard in Springdale, or Jan. 20 from 10 a.m. to noon at Deep Creek Coffee, 932 Zion Park Boulevard in Springdale. 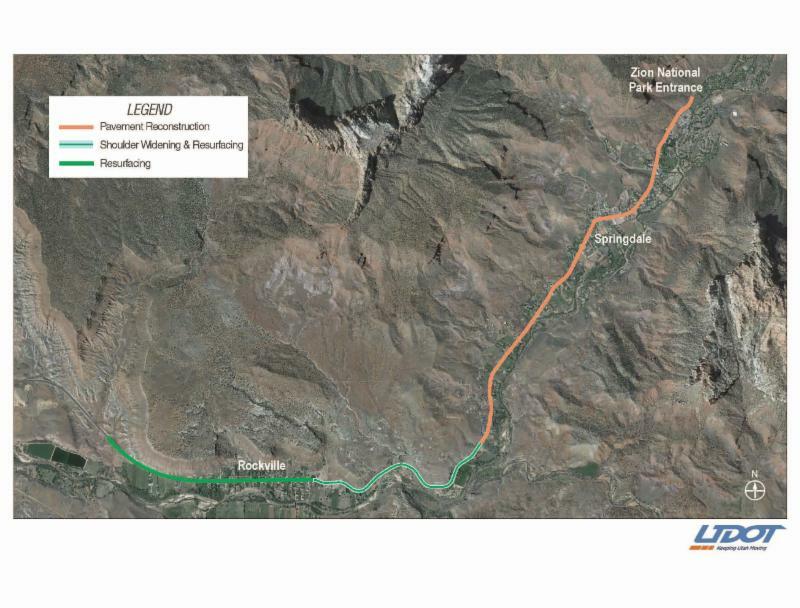 What: Public meetings with UDOT team about SR-9 improvement projects. When: Jan. 19, 5-7 p.m | Jan. 20, 10 a.m. to noon. Where: In Springdale | Jan. 19 at Canyon Community Center, 126 Lion Blvd. | Jan. 20 at Deep Creek Coffee, 932 Zion Park Boulevard.